The proposed method involves scrapping Warsaw’s previous use of hot mix, that has a cost of about $110,000 a mile, for a new method that, according to Beeler’s presentation, has the same longevity yet is 60 percent less expensive. Beeler explained he was given free product to test the new method. 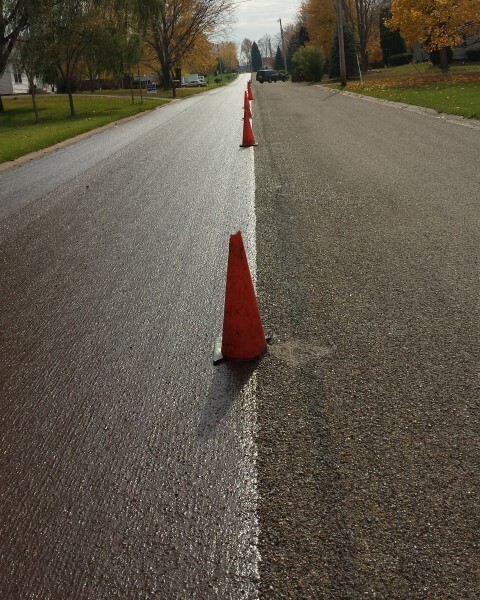 Late last week, the street department applied the pavement preservation method to La Vista Drive, Dogwood Drive and Short Ridge Drive. Residents in the neighborhood were notified in advance, and the project was completed in a timely manner. After finishing paving in the area of La Vista Drive, the street department had some left over materials, and Beeler decided to do some work on Baker and Leedy streets on Warsaw’s south side. Pam Knipsel, a resident of the area, voiced her displeasure at the meeting that she and her neighbors shared in not being informed of the changes being made to their streets. She explained that there was just a layer of coating covered in stone, but not sealed again on the top, causing the bits of stone to shoot up from rotating tires when driven on. 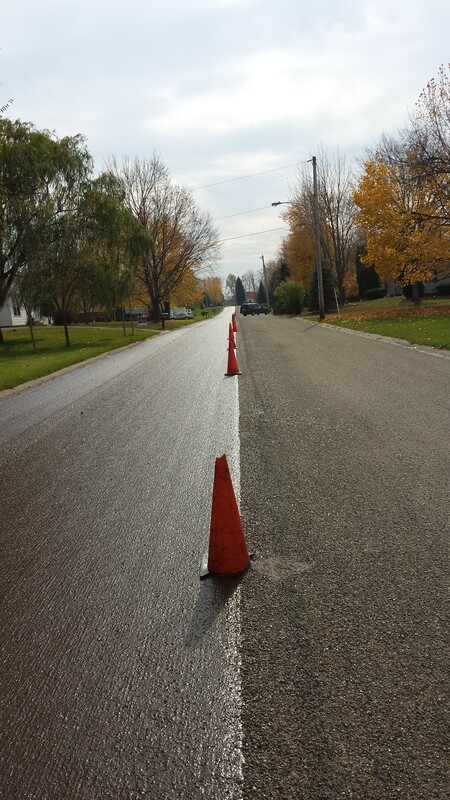 A Warsaw street in the process of having pavement preservation methods applied. Beeler iterated that the majority of the stray stones have been swept and will continue to be swept through the year until oil is available again to seal the top layer. Beeler went on to explain that pavement preservation methods on city streets would buy the city time until the necessary funding is available to do full-scale road projects in the Herscher Addition and other areas of the city. According to Beeler, this would ultimately save everyone money without sacrificing the quality or longevity of the product. 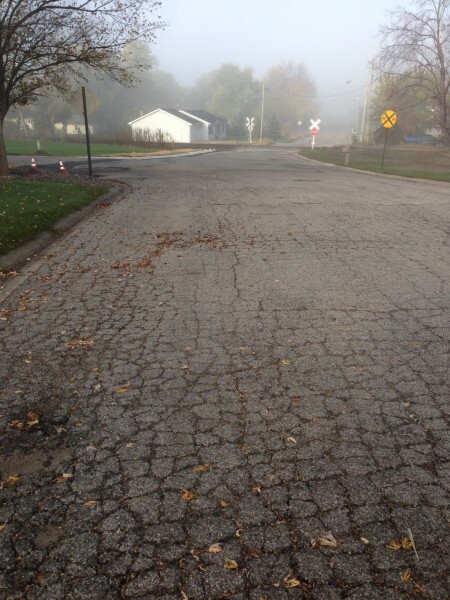 Beeler and Mayor Joe Thallemer both apologized for not ensuring that there was ample notification given to the residents of the streets prior to the maintenance. Giving examples of nearby towns that have already adopted his proposed method, Beeler noted that it is time to educate both the community and the city council in the hopes of gaining support for his effort.